Healthy People, Sustainable Communities, Vibrant Cultures. solutions to local issues by focusing on measurable results and actively engaging community members. Start, Weatherization, AmeriCorps and Supportive Housing continue to be the largest programs. rural Alaska. During 2015, RurAL CAP employed 727 people in 60 communities statewide. sustainable communities and vibrant cultures. As the only Community Action agency in Alaska, RurAL CAP was founded in 1965 and marked its 50th anniversary in 2015. For the past 50 years, the lives of tens of thousands of Alaskans have been touched and improved by the people and programs of RurAL CAP. Programs like Head Start, weatherization, affordable housing, and job training have helped communities throughout Alaska. RurAL CAP’s success during the past fifty years is due to our many leaders, strong partnerships and dedicated staff. We are grateful to local, tribal, municipal, regional and other organizations who work to build sustainable communities. Partnerships complement and strengthen, rather than duplicate available expertise and resources. Many of RurAL CAP’s partnerships are working for our communities and help ensure continued services. Positions at Rural Alaska Community Action Program, INC.
For this project the VISTA will be working to implement resident-identified needs of increasing business activity, job opportunities and financial stability. As a member of a small team, you will be responsible for increasing the financial sustainability of the organization. The AmeriCorps Member will work collaboratively with a VISTA member and school staff to implement programs that benefit the Burchell student population. The VISTA member will work collaboratively with a state and national AmeriCorps member to design and implement a restorative justice program, a Young Parent Program, and develop infrastructure for increase post secondary opportunities for students. The Resilient Alaska Youth AmeriCorps Program seeks to build youth resiliency at 20 host organizations across Alaska annually through increasing 12-18 year old youth's connection to their culture and connection to supportive adults. Each fall, RurAL CAP recruits 15 AmeriCorps members from remote rural Alaskan communities to serve in their community. Additionally, RurAL CAP recruits nationally for five urban members for placement on the road system in Alaska to grow youth resiliency with five partner organizations. The RurAL CAP VISTA Program seeks to place motivated national service volunteers to build partner organization capacity to serve low income people. The current program is recruits eight VISTA members and one VISTA leader annually in support of the effort. 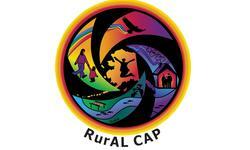 For more information about our current program year, please visit our website at vista.ruralcap.com .